If you’re on social media with other quilters/sewers, you’ve probably been watching as many of them prepare to descend on Austin, Texas, for QuiltCon 2015. New bags and outfits have been made, buttons prepped for swapping, #HelloQuiltCon introductions made. Like me, maybe you’re relegated to watching not just the QuiltCon prep but the entire event unfold on social media. What’s a non-QuiltCon attendee to do? Head over to IG and follow me (thatcraftaddict). I’ll post the scavenger hunt list on Thursday, Feb. 19, at 9 a.m. Austin time, along with a link to the form. There are 20 items on the list and you need to enter at least 15 in order for it to be considered complete. The form will close at 9 a.m. Monday, Feb. 23 (again, Austin time). I’ll randomly choose from the completed entries and send that person a prize. 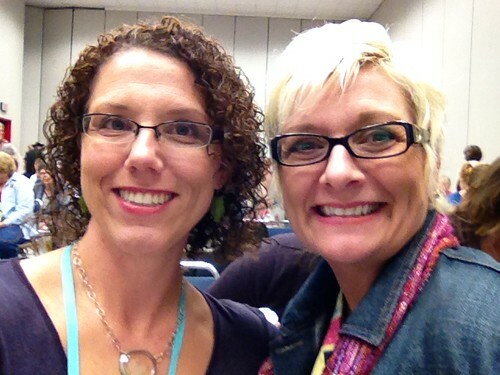 One of the best things about this sewing/quilting world is getting to meet cool people like Penny Layman. I wasn’t familiar with Penny’s work when I met her, which was probably a good thing because I might have fangirled all over her! Needless to say, I was incredibly excited to see that she had a book coming out and I could not wait to get my hands on it. (Note: I paid retail for this book.) 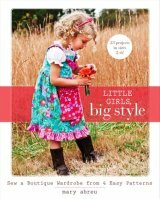 The Paper-Pieced Home, published in December 2014 by Interweave, is just as lovely and charming as Penny, perfectly capturing her style on every one of the 136 pages. 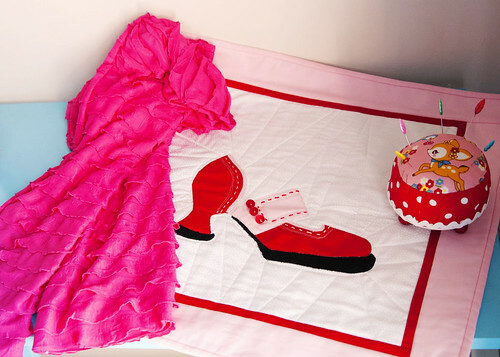 The book has 40 paper-pieced blocks in a variety of sizes and 10 projects that show off those blocks, things like his-and-hers shoe bags and a tablet cover. Block patterns are printed from a CD that’s included with the book, which I love. It’s so easy to not only print out exactly what I want but I can reduce or enlarge the patterns before printing. Plus the patterns are lightly tinted to make it easier to discern the differences between sections. I don’t have much experience with paper piecing, so I actually sat down with the book and read it before I printed a thing. Crazy! But I really wanted things to turn out well. Penny does a great job of breaking down the steps involved and gives really helpful tips so your blocks turn out as well as the examples in the book. So like anyone trying something for the first time, I chose the simplest block pattern in the book for my first attempt. This one would have been an ideal first block to start with! I used the new Text Sunprint by Alison Glass for Andover, some Kona solids and a tiny bit of some Patty Young fabric I had on hand. I think this one is going to get incorporated into a tote bag for Miss L to use for library books. 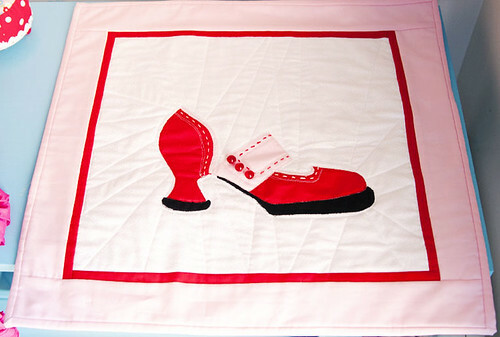 I’ve already got my eye on a few more blocks to play with, including the most fabulous, funky shoe in the history of quilt blocks. I’m not quite sure what happened to this year. Didn’t 2014 just get started? How is it possible that we’re already 10 days into November? At least I’ve already got a head start on my holiday sewing. Last year I picked up a copy of Simply Modern Christmas by Cindy Lammon. The projects were just lovely and I could see myself making so many of them — and not limiting myself to holiday fabrics. Of course, I couldn’t resist making a cute Christmas quilt. The retro Christmas fabrics from Michael Miller just spoke to me! And the Kona in Pool was a perfect match. It’s a lot of flying geese but chain piecing made the work go a little faster. It’s not a huge quilt — small enough to back with one width of fabric — but great for showing off a big chunk of theme fabric. My buddy Elizabeth Beck did the quilting and I wish I had snapped a better picture of the quilt so you could see her beautiful work! The quilt is on display at Intown Quilters, if you’re local. I never intended to make quilts. 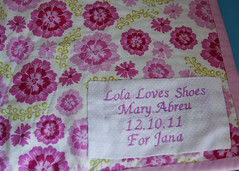 My mother was a quilter, meticulously piecing and quilting by hand. The idea of following in her footsteps never crossed my mind. 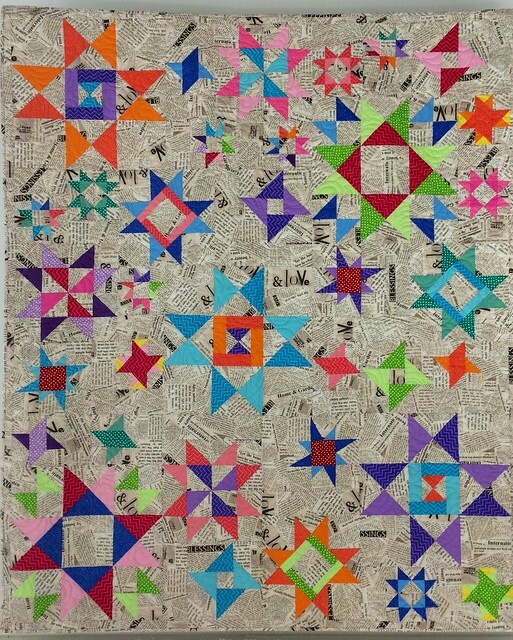 Yet here I am, decades after swearing I’d never make a quilt, not only making them but designing them. And now I’m teaching others how to piece quilts. Crazy! 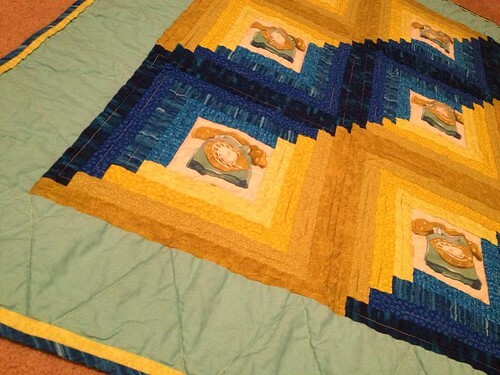 The Starfall quilt by Fresh Lemon Quilts was the starting point for our BOM. The designer graciously allowed us to use it for this purpose, which meant adding enough stars to it for the program to work as a block-of-the-month quilt. Sarah and I took completely different approaches to the quilt when it came to choosing our fabrics. Both quilts were quilted by Regina Carter — I love how she chose quilting patterns that are so different yet work so well to play up the design of each quilt! 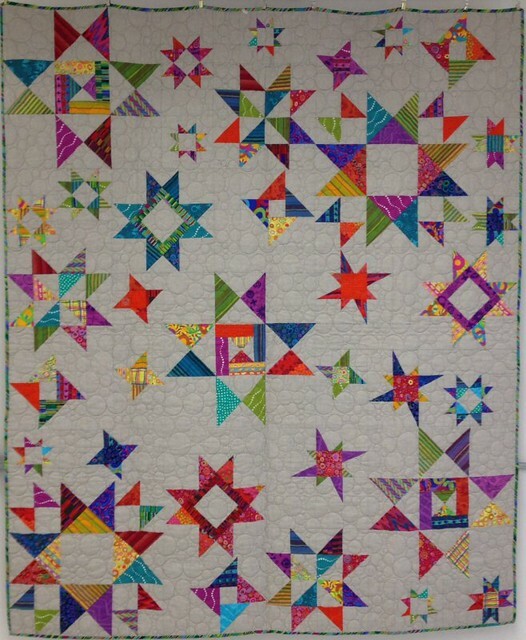 The background is from the Collage line for Windham Fabrics and I used a mix of dots, chevrons and solids for the stars. I know the fabrics aren’t for everyone but I was so thrilled to see it come together the way I saw it in my head. The past few weeks have been utterly CRAZY! I love my job and I love it even more when we are preparing for an event. 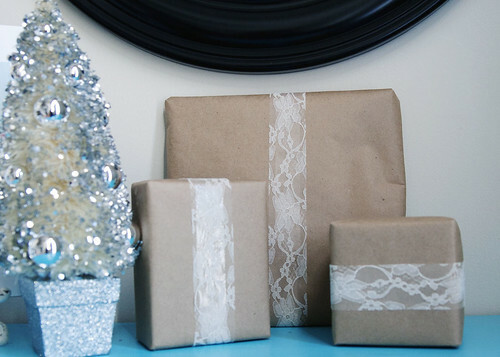 This time of year is all about Shop Hop. The Greater Atlanta Quilt Shop Hop takes place in March each year and Intown Quilters (where I teach and work) is one of the participating shops. Shop Hop is an organized event with a group of quilt shops. People visit each shop during the event, taking a passport along with them and having it stamped at each destination. After completing the passport, they leave it at the final shop and are entered in a drawing for some big prizes. (In years’ past, the grand prize has been a BabyLock sewing machine!) Even if people don’t “hop” to all the shops, they can still enter in a prize drawing at each shop they visit. All the shops have special things like goodie bags and free quilt patterns for the occasion. 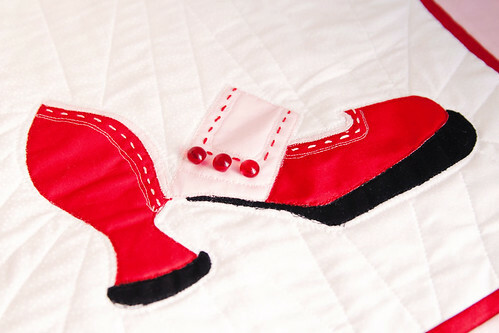 This year’s Shop Hop theme is Quilting…It’s Our Passion and IQ’s theme is Modern Meets Traditional. That means lots of samples and items relating to that theme. It’s been lots of fun planning samples, pulling together goodie bag items and figuring out cool displays for Shop Hop. I named it “Dial-a-Quilt” and couldn’t be happier with how it turned out. OK, maybe a wee bit happier: the actually basting and quilting parts are not my strength (it may have been suggested to me that I take the machine quilting class at the shop) but I can live with it. The quilt uses one of my current favorite fabrics (the vintage telephone print from Melody Miller’s Ruby Star Sparkle line for Kokka), green and blue blenders and the prettiest Essex Linen from Robert Kauffman (medium aqua). It’s based on a traditional log cabin block (one of my faves! ), which I thought made it a good fit for our Shop Hop theme. Even cooler? The boss liked it enough to have me make kits of it to sell during Shop Hop! I’ll post the full quilt once Shop Hop starts and maybe a link to the online kit after it’s over (if there are any kits left). And be sure to say “hi!” if you see me during Shop Hop! I am not a test-the-waters kind of gal. I’m more of a jump-in-with-both-feet person, which probably explains all the half-finished projects in my life. And craft supplies. And this year’s completely overboard Christmas redecorating. 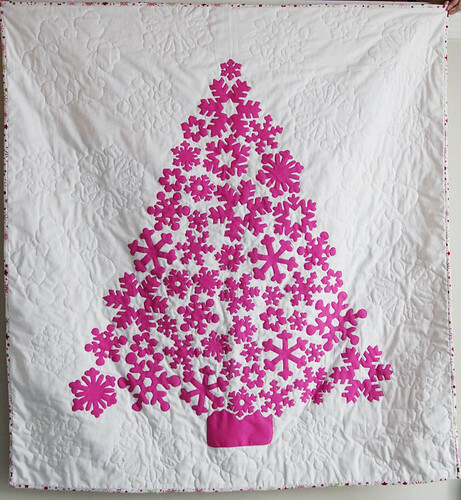 The tree is Kona Bright Pink; the background is a white-on-white snowflake fabric from Timeless Treasures. The binding and backing are from Kaufman (Tinsel Tree, maybe?). 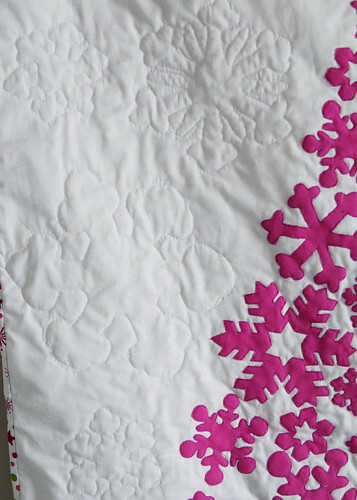 Because of my complete lack of quilting experience, I enlarged some of the snowflakes (another suggestion from the dynamic duo) and quilted around them on the white. I probably should have done more quilting in between but it ain’t happening. I definitely learned a lot from making this (those grippy gloves are a must! you can’t have enough thread!) and actually am looking forward to making another Don’t Look Now quilt at some point. Just not anytime soon. Earlier this fall, I jumped at the chance to join the Twitter #ssswap (Secret Santa Swap) organized by the lovely @sukie80 (be sure to check out her fab blog, too). I was excited but a little nervous because I knew several of the folks involved and, well, it’s a little intimidating to think about sewing stuff for some of these folks since they might rethink our friendship upon closer inspection of my handiwork. And then I got the email with my swap partner. And my heart was filled with joy. A scarf made with ruffle fabric in a pretty pink to add a little pop of color to her day (based on a tutorial from V&Co. because she’d already made what I had in my head). A footstool pincushion (modified version of a pattern by the oh-so-awesome Penny) because Jana needs a safe place to keep her pins. And a Fluevog all her own to love and fondle. 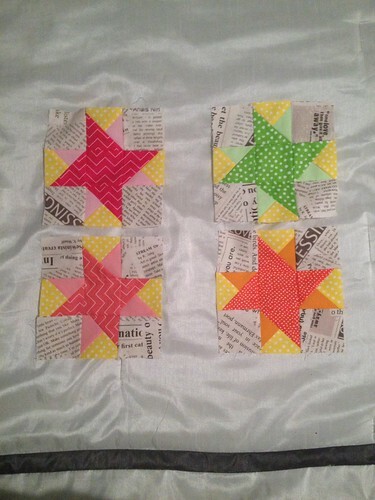 I’m not a quilter but I have been known to try my hand at the odd quilt pattern every now and then. There is no pattern for this, however, so I pretty much made it up as I went along. I was in the middle of working on my first Don’t Look Now! pattern (more on this tomorrow) so I decided to use that appliqué technique for this one. I started out by photographing one of my shoes, then importing it into Photoshop and printing it out at the desired size to trace off for the appliqué pieces. It is a raw-edge technique with lots of free-motion stitching around each part of the appliqué (which I’m not very good at doing) but I think that just adds to the funky quality. I used embroidery floss for the running stitches detailing the shoe and some vintage buttons to replicate the leather-covered buttons on the strap. It’s not a very big quilt (the background started life as a fat quarter) but it was stitched with a lot of love.